We have been providing residential electrical services for over 40 years. Whether you need an electrician for: rewiring, room additions, ceiling fans, generators, landscape lighting, outlets, circuits and more, Ventura Electric has you covered. Keeping your business safe is our number one priority. If your business needs electrical work for: service upgrades, panel replacements, inspections, fire repairs and more, our team can help. With Ventura Electric you can expect our work to be finished in a timely manner. Whether it’s a new residential or commercial construction site, the highly trained and experienced electricians at Ventura Electric will meet all of your electric needs. We will work with your contractor and make sure all of your electrical needs are installed safely. At Ventura Electric we are licensed, bonded and insured. We offer Residential, Commercial and New Construction Electrical Services. Safety is our number one priority and all of our electrician contractors are certified, master electricians. Your safety is everything to us: we make sure that all electrical repairs and services meet the highest safety standards. We are open 24 hours a day for emergency repairs so we can provide the best service that you deserve. 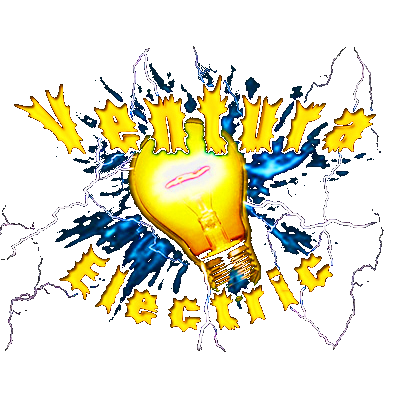 At Ventura Electric, we have over 40 years of commercial and residential electrical experience. We have a team of certified, master electricians who are committed to provide safe, reliable electrical work on your home or business! Whether you need an electrical contractor to wire new construction or a commercial or residential electrician to track down and resolve a chronic short, you can be sure that the job will be completed in a timely and secure manner. Your safety is a job we take very seriously: we make sure that all electrical repairs and services meet the highest safety standards. Call us at 847-805-8117, 24 hours a day for emergency repairs and be certain that you’ll get the service you deserve with a professional electrician in Barrington, IL.